A body not made with hands but living and alive. Paul states his purpose, in no uncertain terms, behind writing this letter to Timothy. He wants to make sure there is order in the church, even if he can’t be there to establish it himself. Paul trusted Timothy. He personally sent him to this body of believers to watch over them and set them straight. He commissioned Timothy to deal with the false teachers and instructed him on how to identify appropriate leaders. Now he makes sure that Timothy realizes the trust that he has put in him. If Paul can’t come in person, Timothy has all he needs to carry on the work the Holy Spirit started in Ephesus. And this work is important. Paul is continuing to addresses the Corinthian church’s superiority attitude. He started this answer in our last reading by focusing on the fact that ALL of us were brought into Christ by the same Spirit, and that ALL of the gifts given to the church were given by the same Spirit. Today he puts this concept into physical terms; the body of Christ. 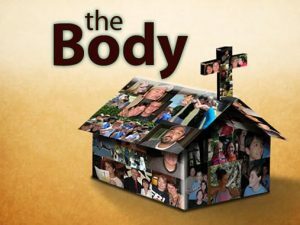 Paul shares the basics of being one body in Christ. He will go into this concept several times in his letters but we see it first here. 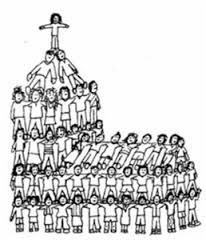 We are many members but one body.